Traveling back from Kilbennan monastic site to The Neale in Mayo, we came across this four storey tower house at Castlegrove. 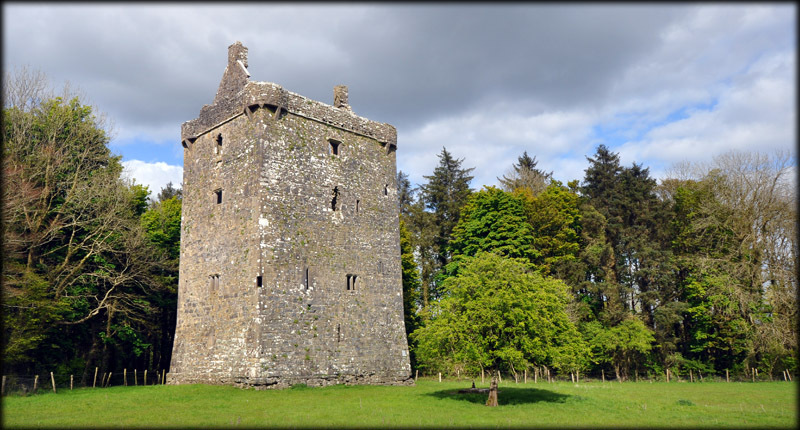 We were both delighted to find this well preserved castle as it is beautifully situated next to woodland just off the main road to Ballinrobe. The castle was built by de Burgos (the Burkes) in the late medieval period, probably mid 16th century. 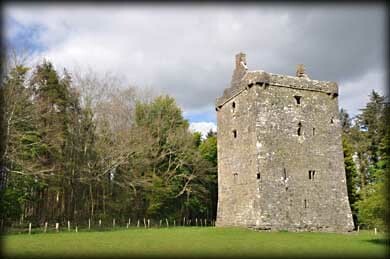 It is known locally as Jennings Castle, which was commonly derived from the name Eoin, the name of several later owners. Eoin was anglicised to John or Jennings. The last occupant was a Lady who was dispossessed by the Cromwellians in 1651. 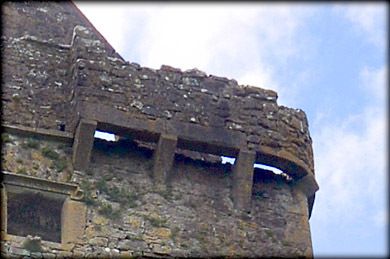 One of the main features of the castle are the round bartizans on each corner of the tower. There is also a machicolation above the fine decorated doorway. There is a blocked up latrine chute on the Northern side of the tower. We were unable to gain access as the metal door was locked during our visit but we know that the second floor is vaulted and there are two staircases inside the building on either side of the doorway. 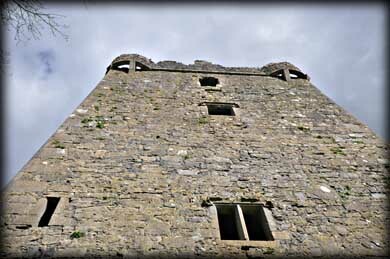 A fabulous tower house, we recommend that you take the time to visit. Situated: In Castlegrove, from Tuam take the R332 toward Ballinrobe. You will pass Kilbennan on your left. Shortly after that you will see a sign pointing to Feartagar Castle on your right. Take this road.